Correct broker selection requires knowledge of specificity intermediaries function on the currency market. In the article you will find crucial information, affecting selection of the best offer. On the Forex you will meet intermediaries operating based on dealing desk and no dealing desk. The first category includes MM brokers, and the second includes STP and ECN+STP brokers. Is it significant for you? Well, quite so. MM brokers are Market Makers creating the internal market, which is a representation of the interbank market. On such platforms you compete with intermediaries, rather than actual Forex participants. Such a business model provides the highest liquidity of effected trades. MM brokers offer variable or fixed spreads. You can always execute orders regardless of economic events. Unfortunately market makers pursue orders flexibly. Some may be canceled by technical errors or re-quotes proposals. Currency exchange rates in Dealing Desk philosophy develop in the artificial way. Data are derived from the interbank market. The competitiveness of many brokers offer led straight out to level “artificial” spreads with “actual” spreads. Bulking customer orders along with trading against clients is for Forex brokers a chance to minimize the risk, at simultaneous maximization the profit. MM constitutes the most popular service type. It is possible to say that you speculate on the domestic broker’s market. A main defect is of course an unethical impact on rates regulation. However, the minimum payments will be enough to begin the game. In MM there is the highest leverage. Prices aren’t subject to rapid fluctuations. It is an ideal option for beginners. ECN brokers (Electronic Communication Network) and STP brokers (Straight Through Processing) aren’t an opposite part of the transaction. They provide orders to banks, funds, other intermediaries, retail clients. No Dealing Desk indicates quoting coming directly from the Interbank market. 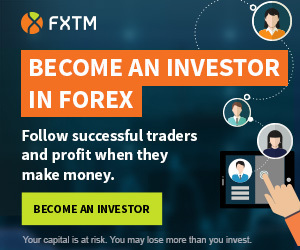 Such brokers connect the interests of small retail Forex traders with great currency market participants. STP platforms have many so-called liquidity providers (entities cooperating with a broker during foreign exchange). Price offers in the system are sorted from best to worst. Intermediary earns by adding the profit margin to all operations. Variable spreads most often appear in such a configuration. Orders are automatically carrying out, without delays. 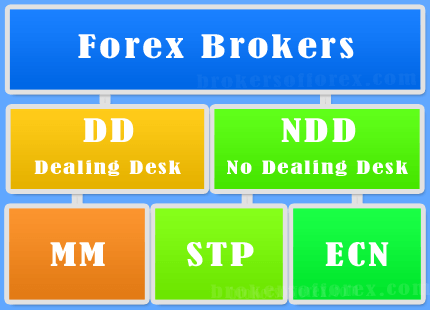 In order to use of Forex STP brokers a medium-sized capital is needed. In turn, the ECN platforms provide access to real, global Forex market. Broker is responsible for finding the best spreads. Such intermediaries provide immediate orders realization. Rates on the platform are subject to very dynamic changes. Rarely, but there may appear a lack of liquidity on the given instrument, which will result in order delay or cancellation. The biggest deposit is required to activate the account. In ECN brokers there isn’t possible to come across price manipulations. The ECN model earns on commissions and has the smallest leverage.